Azure Resource Manager, sometimes referred as Version 2 of Microsoft Azure, is a next version of Azure Service Manager (referred as Version 1). 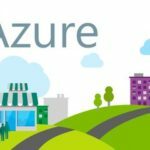 Azure Resource Manager (ARM) ties together Compute, Storage and Network and shows them as a single unit that can be created, updated and deleted together. This is easy for managing the resources and for billing purposes. Azure Resource Manager supports template based Azure Resource deployment as stated above. This results in rapid, consistent and standardized deployment of Azure Resources. Typical Azure resources contain IaaS (Virtual Machines), Virtual Networks, PaaS resources like Web Apps and Database. All of these can be easily provisioned rapidly by Azure Resource Manager. Typically Visual Studio is considered to be most recommended or trusted editor for ARM templates but it requires licensing and if you don’t have Visual Studio license then you could also use free JSON viewer for Notepad++. Not a best choice but works well to read the existing JSON templates and modify them according to your need. Parameters – Contains parameters that can be entered during run-time with set of values or default values pre-defined. Variables – Contains Variables that are static in the code and will be used for deploying resources. If you are a native PowerShell user and wants to write JSON based ARM templates then you would find coding easy but Syntax bit unclean (at least I was not comfortable with JSON way of defining variables and resources). You must go through some sample templates for IaaS, PaaS, networking etc. and start making changes as you need and get familiarized. Github contains many Azure-quickstart-templates and they should be the ideal choice for reference. Not to forget to use the Visual Studio or Notepad++ JSON viewer to understand the template else you might get lost in the way JSON was written. Login-AzureRMAccount – to login into your Azure Subscription and access Azure RM resource commands. New-AzureRmResourceGroup -Name MyNewResourceGroup -Location "East Asia"
You will be prompted for password (as Secure String) depending on ARM template. This is just a beginning on ARM Templates. I recommend to go to GitHub and refer some sample ARM templates and based on your test scenarios try to automate the Azure Resource Deployments. The more you try and the more you would know merits of using Azure Resource Manager and its templates. Please drop comments if you have liked this article or have any question.